So it's a little of the ordinary that I'll be posting something about babies, but my sister recently gave birth to a beautiful baby girl and as a new mom, she needs all the help and resources with her new bundle of joy. 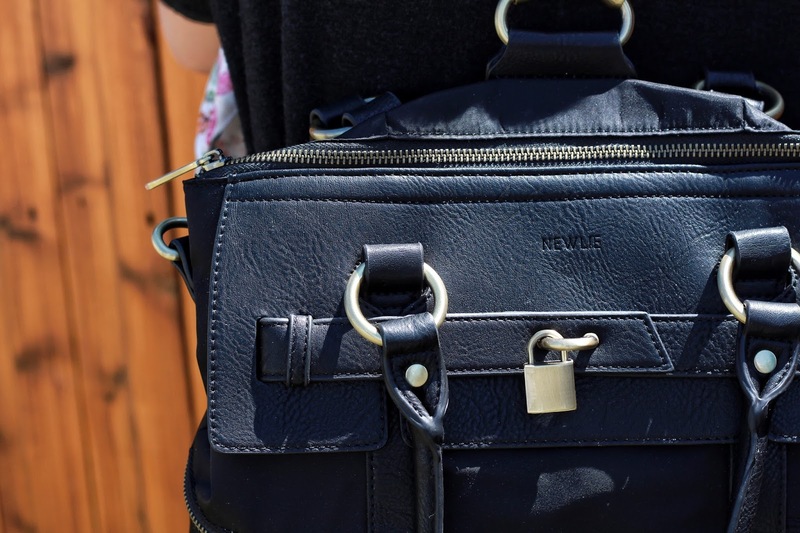 I was recently given the opportunity to try out the Newlie Louise Backpack Diaper Bag* and "what perfect timing! "- it would be awesome to let my sister test out the bag. To start off, let me tell you how cute this back is because it's much more then a backpack. 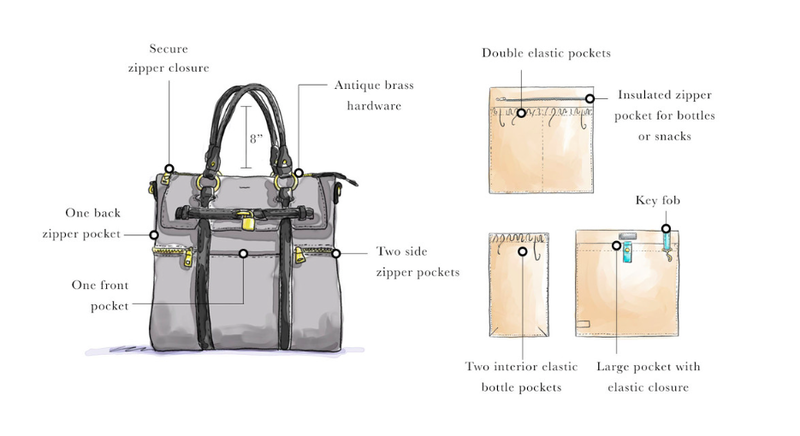 It's very versatile and can also be worn as a shoulder bag and cross body bag. The material is water resistant and made of nylon detailed with faux leather and brass hardware. It comes with a changing pad with foam cushioning, key FOB, 3 exterior pockets, 6 interior pockets and light coloured lining to make finding things easy. Dimensions are 14" H x 14" W x 6"D / Handle Drop of 8". With my little niece adapting to the world she's always kicking, looking cute and always dropping her pacifier; -being a mom is no easy job. It's crazy to see my sister having her first child but it's also crazy to see how good of a mom she is. It's like the natural instincts just come right out and I'm proud of her for being able to pick it up so fast. It must be stressful as a new mom, so with all that stress, it's nice to have a bag with very convenient pockets and spots to put the diapers, baby bottles, baby wipes, toys, books, pacifier case, baby cloths - you name it! And above it all, the bag is so chic and stylish! It'll be perfect even for a regular backpack. So to all you mommies out there, please give yourself a big pat on the back because being a mom is not easy and lots of work is put into loving your child. "But hey, why not do it with style and try out this convenient Newlie Backpack so you can be hands-free and enjoy your time with your precious baby?.